We are excited to offer a training for Faithful Families national partners on December 13 - 14, 2017. This training is for anyone interested in implementing Faithful Families outside of North Carolina. This training is ideal for people who wish to implement the Faithful Families program in their local communities, but we will also discuss strategies for train-the-trainer programs, those who want to train others to implement the program in their state. The training will bring together a diverse set of faculty members and partners, from NC State University, the NC Division of Public Health, and other Faithful Families partners. Additionally, our closing keynote speaker will be Rev. Dr. Gary Gunderson, Vice President of Faith and Health Ministries at Wake Forest Baptist Medical Center. We will also devote significant amount of time to hearing and learning from you. The training will begin with coffee and tea at 8:00am on December 13th and will conclude at 5:00pm on December 14th. Understand the importance of PSE changes to the Faithful Families Program. Explore PSE changes that can be implemented in communities of faith. Understand challenges and barriers to implementation of PSE changes. Explore resources to overcome challenges and barriers. Participants will understand and brainstorm practical ways to implement the Faithful Families evaluation tools. develop an action plan to implement Faithful Families in their setting. receive feedback on their action plan from training faculty. develop an action plan to create a training for Faithful Families in their community (if needed). Reverend Dr. Gary Gunderson is a Wake Forest University alumnus, and he holds a master of divinity from Emory University in Atlanta, a doctor of ministry from the Interdenominational Theological Center in Atlanta, and an honorary doctor of divinity from the Chicago Theological Seminary. Dr. Gunderson became involved in public health through his work with former President Jimmy Carter in Atlanta when he directed the Interfaith Health Program at The Carter Center for a decade. He has also worked extensively with the White House Office of Faith-Based and Neighborhood Partnerships. He serves as secretary for Stakeholder Health, a group of 39 health systems committed to more effective engagement with the poor in their communities. Dr. Gunderson nurtures the relationship with more than 4,300 Baptist congregations throughout North Carolina and other large networks of our patients’ faith groups. A recognized expert in congregations and health, he has previously served as senior vice president of the Faith and Health Division of Methodist Le Bonheur Healthcare in Memphis, Tennessee. In his 7 years there, he developed a new model of congregational health that became widely known as the Memphis Model. Dr. Gunderson brought the Leading Causes of Life Initiative to Wake Forest Baptist, an international and interdisciplinary group of Fellows working to build an intellectual foundation beyond the purely medical paradigm. 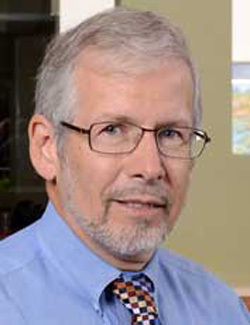 Currently, he oversees spiritual care services for patients, families and Medical Center staff at Wake Forest University Baptist Medical Center and holds faculty appointments at the Wake Forest School of Divinity and in Public Health Sciences. 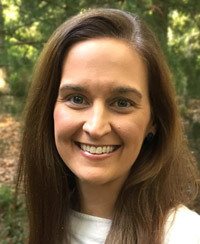 Dr. Annie Hardison-Moody is Research Assistant Professor in the Department of Youth, Family, and Community Sciences at North Carolina State University and Director of Faithful Families. Her background and passion is studying the intersections of religion and health, and she was the original lead writer for the Faithful Families curriculum and program. In addition to serving as the Faithful Families Director, she is co-Principal Investigator for Voices into Action: The Families, Food, and Health Project and works on several projects related to gender, food, religion, and health. Her work with Faithful Families garnered an invitation to the White House, through the Let's Move initiative. She lives in Raleigh with her husband, daughter Sophie, and their dog, Maryland. 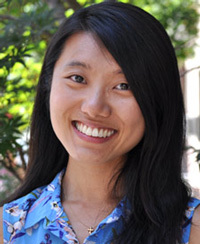 Julia Yao serves as the Program Specialist for the Faithful Families program. She received her MPH degree from Columbia University Mailman School of Public Health, with a focus in the Department of Sociomedical Sciences and a certificate in Health Policy and Practice. Prior to her degree, she resided in Seattle, where she worked with several non-profit organizations implementing programs to address community hunger, nutrition education, and chronic disease management. In her spare time, Julia tries to spend as much time as she can exploring the outdoors with her partner. Kim Eshleman is a Special Projects Manager with the Department of Agricultural and Human Sciences at NC State University. While her background is in the legal field, she has a deep interest and passion for work that will help to build and support healthy and thriving families and communities. In her role at NC State, she has had the opportunity to work on several different projects related to food, nutrition and health. She lives in Raleigh with her husband, Johnathan and two children, Aidan and Sumner. Family life keeps her busy, but she is an avid reader and loves cooking and gathering around a shared table with family and friends as often as possible. 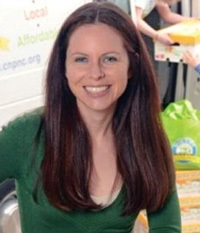 Dr. Dara Bloom is an Assistant Professor and Local Foods Extension Specialist at NC State University. Dara was inspired by her time doing community gardening on the US/Mexican border to learn about the structure and policies of the larger agri-food system, as well as how community-based projects can enhance local food security. Dara earned her degree in Rural Sociology at Penn State University, with a focus on the Sociology of Agriculture and Food Systems. Her previous research has revolved around the challenges and opportunities of “scaling up” local food systems, including the interactions between social, environmental, and economic values as alternative movements are incorporated into conventional systems. Her current work includes providing training to Cooperative Extension agents about developing community-based local food projects that integrate low-resource consumers. 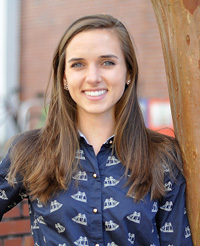 Lacey Corrick received her Bachelor of Arts in History from the University of Florida and her Master of Science in Dietetics and Nutrition from Florida International University. As a Registered Dietitian Nutritionist and the Education and Training Specialist for the University of Florida IFAS Extension Expanded Food and Nutrition Education Program (EFNEP), Lacey oversees statewide implementation of evidence-based curricula and manages the development of educational materials for programmatic and promotional efforts. She assists with the day-to-day program operations and she also manages innovative projects to expand program reach and impact. In addition to her passion for health and wellness, Lacey enjoys traveling with her husband, photography and experimenting with new recipes. Dr. Jason Bocarro is a Professor in the Department of Parks, Recreation & Tourism Management at NC State University. He has spent the last 15 years examining how the built and natural environment can address childhood and adolescent health and inactivity issues both in the US, UK and South Africa. His research has been funded by the Robert Wood Johnson Foundation (RWJF), the Centers for Disease Control, National Park Service, European Union (EU), National Recreation and Park Association, and other sport governing bodies. Dr. Bocarro is also an NC State University Alumni Distinguished Undergraduate Professor. 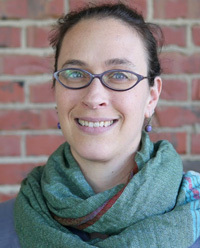 Dr. Lindsey Haynes-Maslow an Assistant Professor and Extension Specialist in the Department of Agricultural and Human Sciences at NC State University. Lindsey researches policies that lead to a healthy behavior. She is an expert on the intersection between food systems, nutrition and public health, as well as the impact of government policies driving the food system. She has over 10 years of experience working with non-profit, private, and public organizations that focus on obesity prevention for low-resource communities. Before coming to NC State, Dr. Haynes-Maslow worked for the advocacy organization, the Union of Concerned Scientists, on federal food and nutrition policy, specifically the Child Nutrition Reauthorization Act. Currently, she is the Principal Investigator of NC State’s SNAP-Education program, Steps to Health. 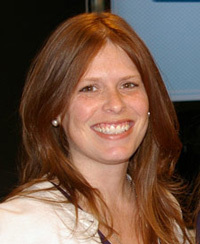 She has a Ph.D. in health policy and management from the University of North Carolina at Chapel Hill. She also earned a Master in healthcare administration and a B.S. in public health from the University of North Carolina at Chapel Hill. Pastor Dawn Baldwin Gibson serves as the Executive Pastor at Peletah Ministries, the church she and her husband, Pastor Anthony Gibson founded in 2011. She is mother of Spencer (Malika), Hannah (deceased) and Kaitlyn; grandmother of Phillip. 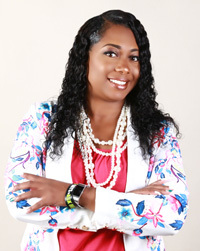 A graduate of Shaw University with a degree in Liberal Studies, Dawn holds a master’s degree in English with a concentration in Technical and Professional Communication from East Carolina University and has nearly twenty years in collegiate education. Dawn is committed to community outreach. 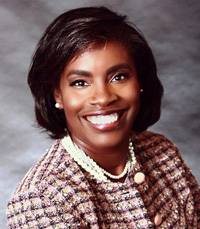 Recently she was awarded the Humanitarian Award by the Craven County NAACP. 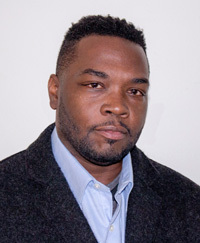 Reverend James M. Kenady is the Faith Based Program Coordinator for the Chicago Partnership for Health Promotion (CPHP) at the University of Illinois at Chicago. He collaborates with faith leaders to provide health and wellness resources to faith communities. 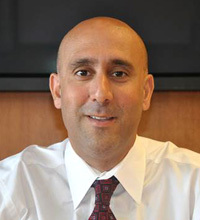 In addition, he serves as a Board of Director for the MEND Foundation; and is an Affiliate Member of the African American Collaborative Obesity Research Network. James has worked in public health for over 15 years. One of his career highlights was serving on the White House Faith-Based and Neighborhood Partnerships Stakeholders Taskforce for the Obama Administration. Shanicka Porter is the Health and Wellness Chair at Mount Peace Baptist Church in Raleigh, NC. She started the Health and Wellness Ministry 4 years ago after Pastor J. Vincent Terry expressed concern about the untimely death of several men involved in Ministry. The ministry began with Workout Worship and later grew to yearly health fairs, and monthly workshops and focus groups that focused on different health disparities as well as healthy eating. The ministry currently has 10 active members comprised of health professionals and others with a passion to encourage and promote health living. Shanicka is a health and wellness coach with Total Life Changes where she promotes health eating and living using natural products. She is currently working with several local churches to develop a faith coalition to better serve the faith community and bring awareness to the disparities that affect them the most. Shanicka has a BA in Social Science and is currently employed with McKesson Specialty Health.